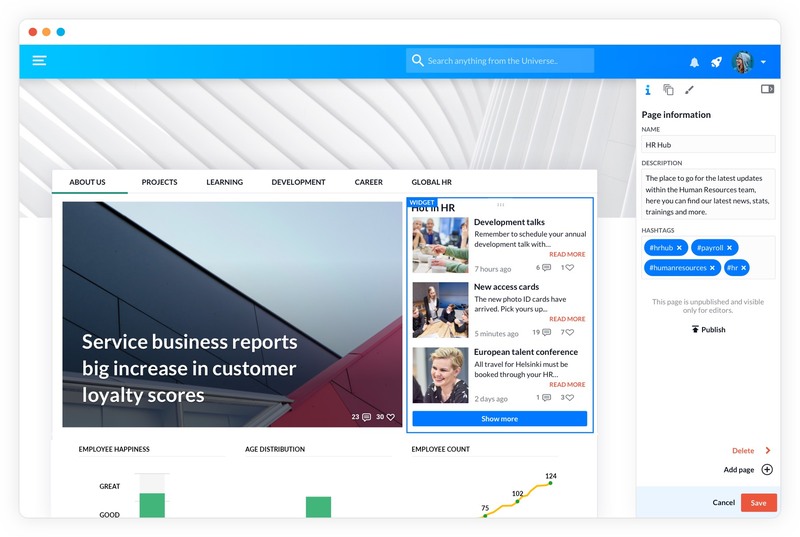 The all-in-one enterprise social intranet, knowledge base, productivity platform, Internal Communications tool and people directory – all working perfectly with Google Suite. Post messages, share files, comment and like, tag users, and discuss. Essential news will never be missed again. See who has read the post, and give one-click reminders. Eliminate distractions, only see the news that is important for you. Find, share and edit Google Drive files, without leaving Happeo. The easy editor allows you to build and maintain your intranet pages without the help of IT. Create an engaging homepage that’s automatically tailored to each employee. Place real-time content from your social channels, Google Drive files or folders, and much more. Choose from multiple page layouts to create rich page hierarchies, clearly structured for easy navigation. 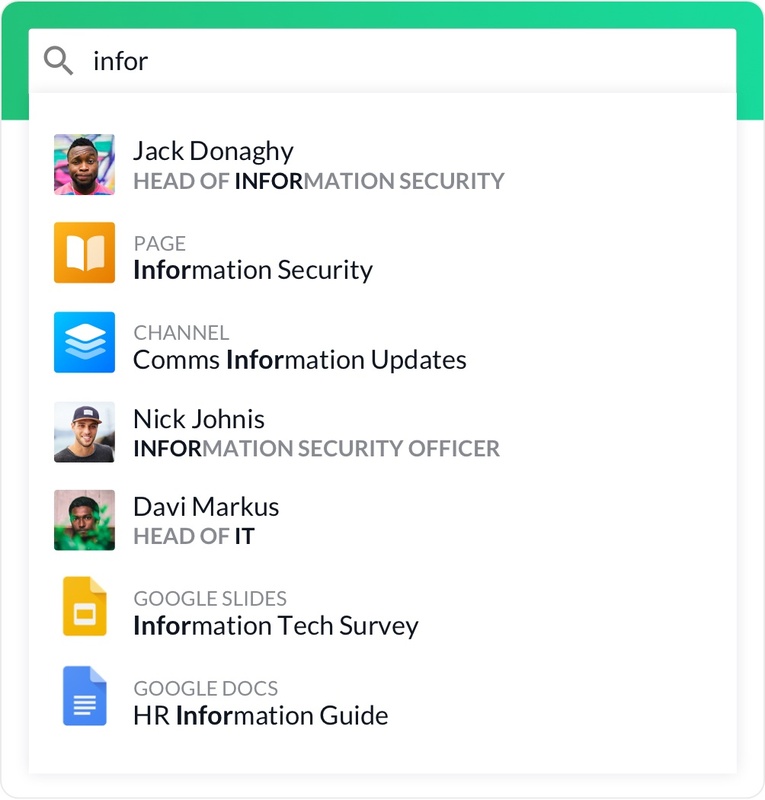 Happeo automatically creates an organizational chart using the data from your Google directory. Everybody in your organization has their own profile with their contact data, skills and their bio. Need someone in HR that speaks German? Just search. Never again waste time looking for the right person. Your workforce aren’t always in front of their computer. It could be anywhere, Rotterdam, Liverpool or Rome… unparalleled company engagement at any time, and in whichever location your employees are. A familiar interface that focuses on the essential company updates. Easily send out a push notification to everyone that has the app installed. Bored of scrolling? We'd love to show you around. Happeo is a platform which integrates with what you already have. Now offering 2-way sync with many leading platforms. Measure your intranet performance and adoption with Google Analytics. 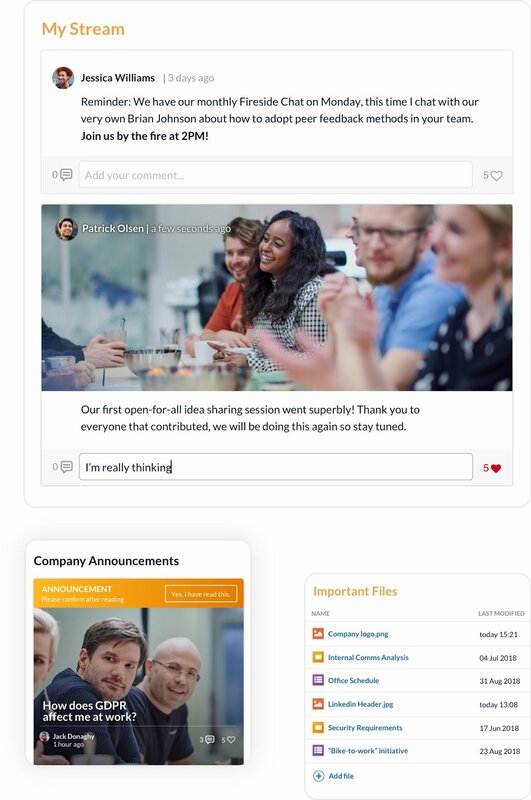 Add your company Twitter & RSS feeds to your intranet pages. Plus any other profiles via iFrame. We import your groups from Google, saving you time with setup and management. Share team calendars and let people know when you have time to talk. Slack integration for discussion, get your Happeo updates directly in your Slack Channels. Develop your own integrations and adapt Happeo to the way you work. Share and manage any file from within your Google Drive. The content updates instantly whenever you make changes. Search your emails from within Happeo, and sync your availability with your out of office. Get those all-important actionable insights from your workplace environment. Easily turn your data into informative dashboards and reports that are easy to read, share, and customize. Use the industry leading web analytics tool to monitor how your people are using the platform. Connect up Google Data Studio to create beautiful reports to show your boss what a great job you’re doing. The key to a good search is being able to find what you want quickly, and this is what our search has been built to do. Connecting the dots in your business with ease. See an aggregated list of results, pulling data from sources such as Gmail, Google Calendar, Google Drive, Channels, Pages, People and more. Sleep well knowing your business communication is safe. Your user data is all stored in Google Cloud, meaning it benefits from the ultra-secure international infrastructure that is trusted by brands including Coca-Cola, Spotify, and Phillips. Google Cloud has also been named a “Leader” in the Forrester Public Cloud Platform Native Security, Q2 2018 report. Happeo with Google’s G Suite is a natively GDPR compliant system. We keep your data in its own sandboxed space, and only store the personal data required for your environment work. Any data we do store is fully protected with Google’s industry leading security features. 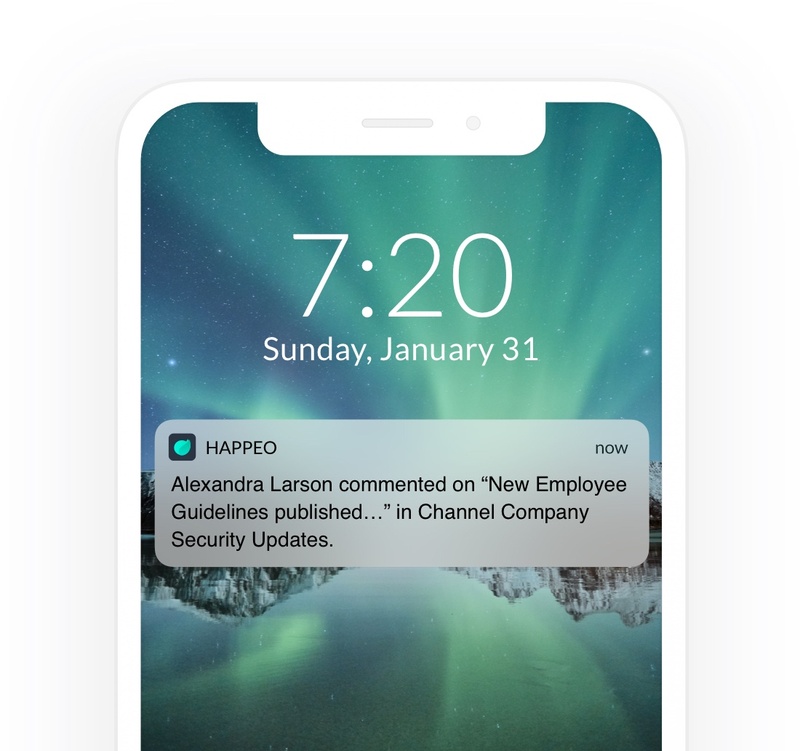 Happeo supports single-sign-on which means that your users can already login with their workplace credentials. This offers you protection from unauthorized users accessing your sensitive company data, while allowing full convenience to your employees.